DELHI, India—The recent military confrontation between India and Pakistan in the Kashmir region is likely to bring Pakistan even closer to India’s regional rival China, experts say. Jayadev Ranade, a former senior official in the Indian foreign intelligence agency Research and Analysis Wing, who now runs a China-focused think-tank in New Delhi, said that China views Pakistan as its “vassal state,” using it to keep India in check. 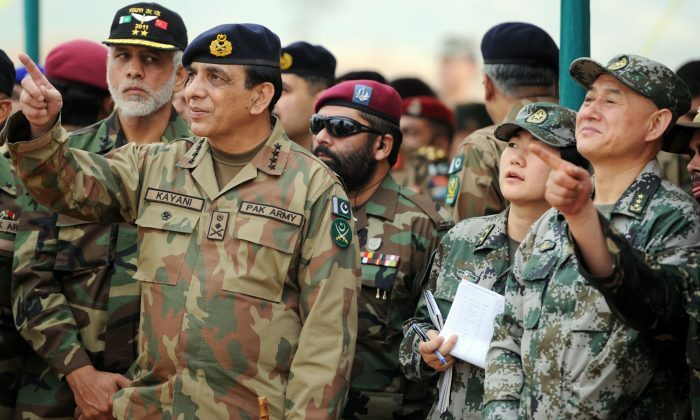 China and Pakistan already have very close military links, Ranade said, with more Pakistani military officers now going to China for training than to the United States. 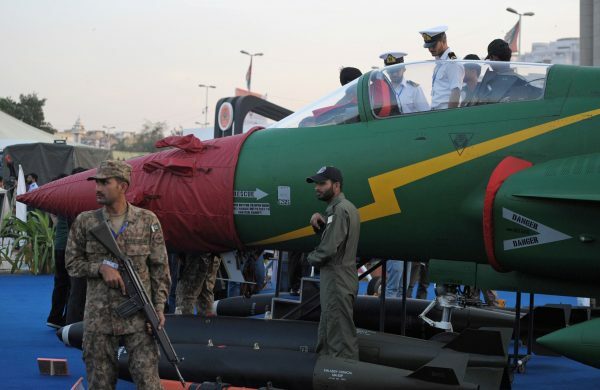 “There has also been an increase in Pakistan buying military hardware from China,” Ranade said. China is planning to sell an aircraft carrier to Pakistan, Ranade noted, and is using Pakistan’s ports in Karachi and Gwadar as its military bases. Following the Feb. 14 terrorist attack in the Pulwama district of Jammu and Kashmir—which resulted in the killing of 44 Indian security personnel—and the ensuing military confrontation between India and China, Ranade says China and Pakistan are likely to scale up their collaboration. The attack in Pulwama was claimed by the Jaish-e-Mohammed (JeM) terrorist group. It was carried out by a suicide bomber, Adil Dar, a Kashmiri local who also died in the attack. Kashmir, divided between Pakistan and India, is claimed by both countries as their own territory. JeM operates in Pakistan with impunity. Following the attack, India carried out air strikes in Balakot in Pakistan, where JeM has training camps, although uncertainty exists over the number of terrorists India claims to have managed to target. Following one of India’s air strikes, Pakistan captured an Indian pilot but released him later as a peace gesture. China condemned the terrorist attack against India, with the Chinese ambassador sharing a minute of silence for those killed at the Chinese Embassy in New Delhi. However, on March 14, China blocked a United Nations Security Council committee from declaring JeM leader Masood Azhar a terrorist. A.K. 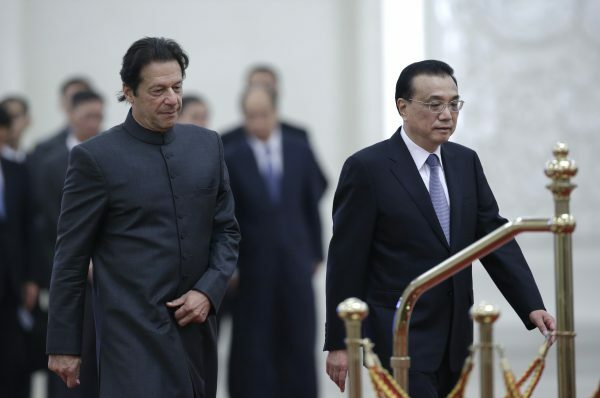 Behuria, a fellow at the Institute of Defense Studies and Analysis, says despite China’s condemnation, the link between China and Pakistan is solid. According to Behuria, the growing warm relations between India and the United States in recent years has seen a reciprocal response from China, which has pulled Pakistan deeper into its plans for regional as well as international supremacy. One of the most important factors behind the closer alliance between China and Pakistan is China’s dependence on Pakistan for the success of its One Belt, One Road Initiative (OBOR), Ranade says. Pakistan is a key partner of China in the ambitious infrastructure initiative, and the relationship between the two countries on this initiative is seen to be more of a strategic than economic cooperation. Ranade noted that China–Pakistan Economic Corridor was the first segment of the OBOR to be operationalized, despite it being the second-last part of the project, showing its importance to the Chinese. “In their mind, it is a piece of real estate they are utilizing and they are going to be cautious about their investments in Pakistan, which are huge,” he noted.